An Irish designed and built putter has blown the competition completely out of the water in an independent performance test carried out by one of the world’s leading authorities on the game. 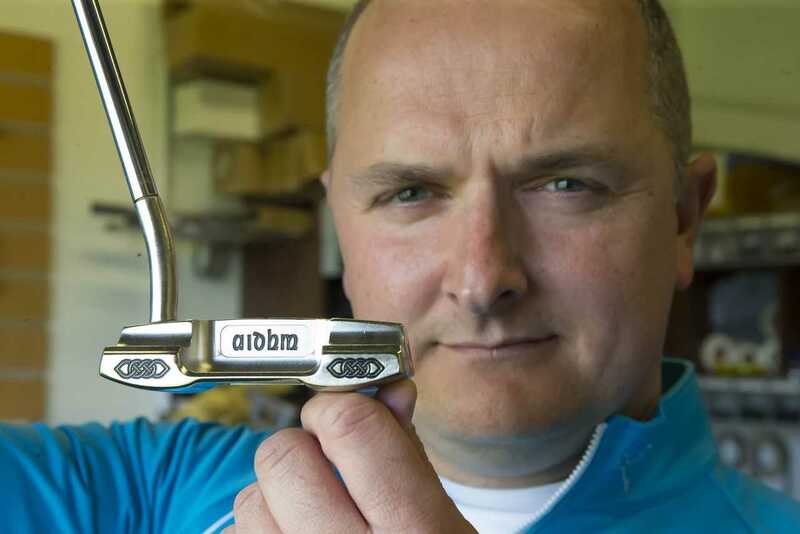 Quintic Consultancy UK put the Aidhm Irish Putters’ R Series Blade Putter through a rigorous, hi-tech test and found it rolls better and is more forgiving than a number of leading putter brands. Owner and designer, Peter Doyle, who lives in Piltown, Co. Kilkenny, also runs Precision Fit Golf in Tramore, Co Waterford. He says the data proves what players using his clubs for years have been telling him all along. 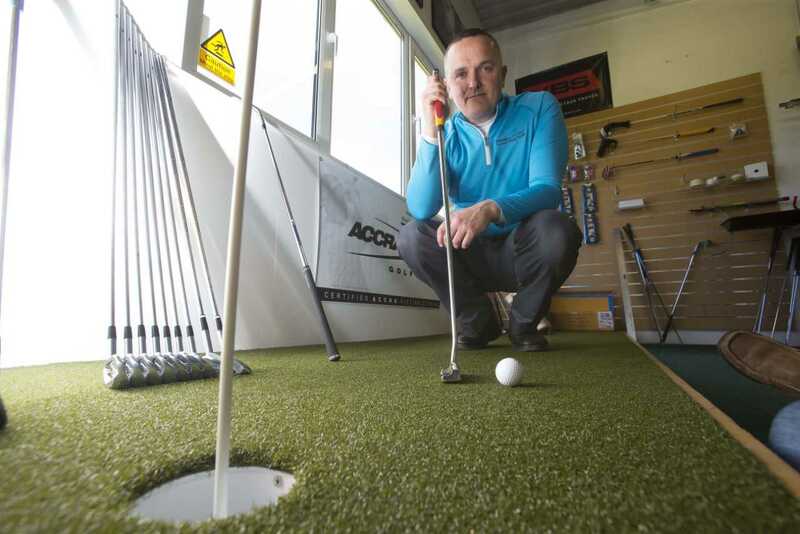 “We presented four putters to the team at Quintic in the UK for comparison testing – three well known putter brands and our own Aidhm R Series Blade putter. One of the three other brands was a premium putter which is widely seen on the PGA Tour. “The Quintic Ball Roll test that the four putters went through uses a high-speed camera (360 – 1080 frames per second) to track the putter and golf ball throughout the impact zone of either a right handed or left handed player. “The system automatically measures over 45 parameters regarding the putter and ball, both graphically and numerically. The data is instantly displayed within the software for immediate analysis, review and intervention. Paul Hurrion, owner of QuinticConsultancy, is renowned across the golfing world and works with some of the world’s best golfers. He has worked closely with Padraig Harrington, Ireland’s most successful golf major winner. He has also worked with Danny Willet, the 2016 Masters Champion, as well as Rory McIlroy, Paul McGinley, Eddie Pepperell and Oliver Wilson. “The video evidence from the competing premium putter brand showed that the ball launched with backspin and bounced 4 to 5 times off the putting surface before it began to rotate forward towards the target, characteristics not usually associated with a premium putter brand. “The analysis from our R Series Limited Edition Blade showed the ball began to roll almost immediately, with virtually no backspin. In off-centre hits, our putter was more consistent than the other three brands, with the ball still tracking accurately towards the target. 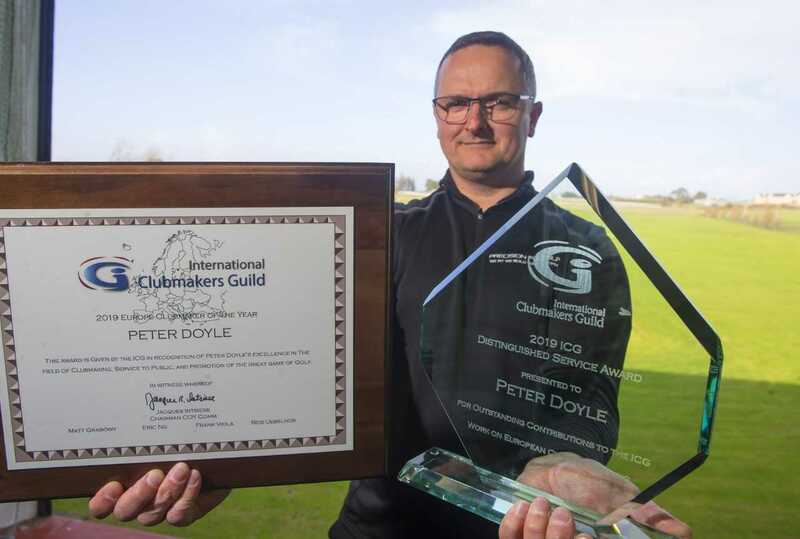 The test results are further good news for Cork city native Doyle who was recently crowned European Clubmaker of the Year for 2019, at the PGA Show in Orlando. He was the Irish Clubmaker of the Year in 2016 and also sits on the Board of Directors for the International Clubmakers Guild. Among the many industry leaders to congratulate Doyle was world-renowned clubmaker, Ron Chalmers, a Hall of Fame Award winner with the International Clubmakers Guild. In 1983, Mr. Chalmers built irons for a well-known Spanish golf legend, the great Seve Ballesteros, who went on to win the US Masters two weeks later with the same clubs. To win the European Clubmaker of the Year award, Doyle had to undergo a rigorous skills test. Wedge Grinding, Shaft Spine Alignment and other competency tests, as well as a video presentation to the Clubmaker of the Year committee were just some of the requirements needed to put himself in contention for this prestigious award. Clients travel to Tramore from all over the world to get their equipment built. 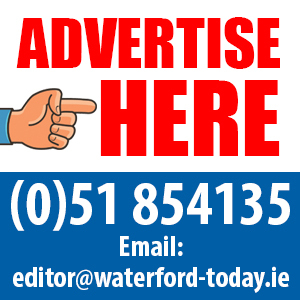 The fact that customers will travel from Cork, Limerick, Dublin, Northern Ireland, the UK, North America and as far away as South Africa to get their hand-built equipment is testament to their work. “A lot of the equipment I supply is tour grade, which is widely regarded as some of the best in the world in terms of quality and performance. ACCRA, KBS, PROJECT X, MIURA, SRIXON, CLEVELAND, TOUR EDGE and GIMAR are just some of the premium components we supply.